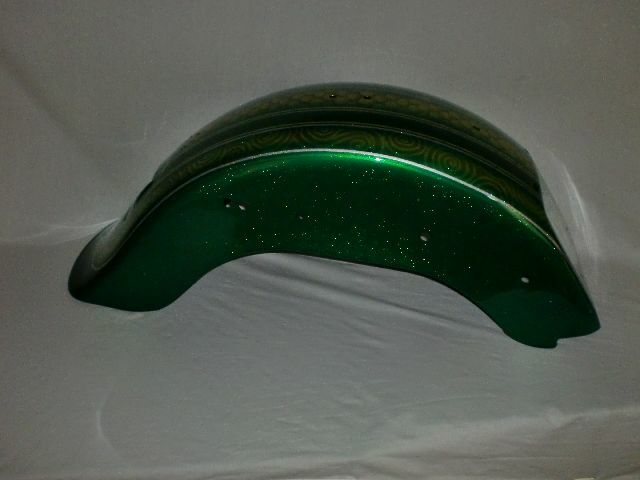 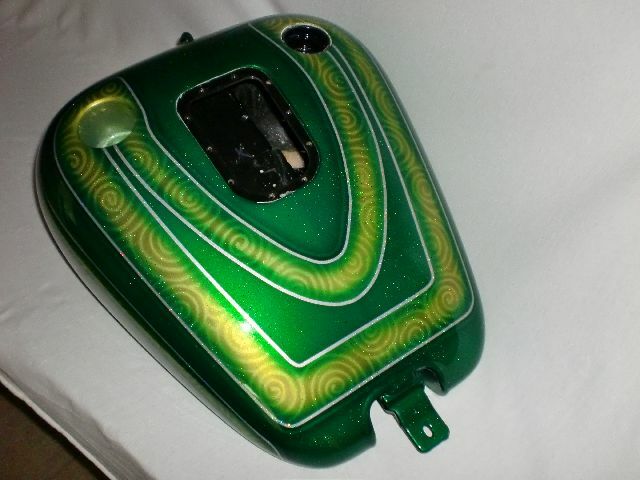 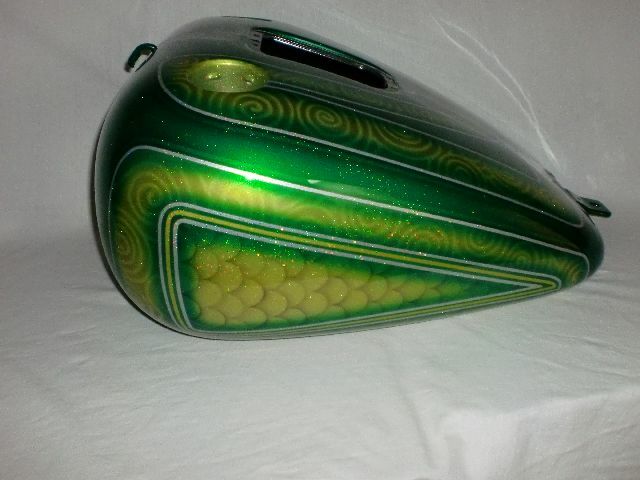 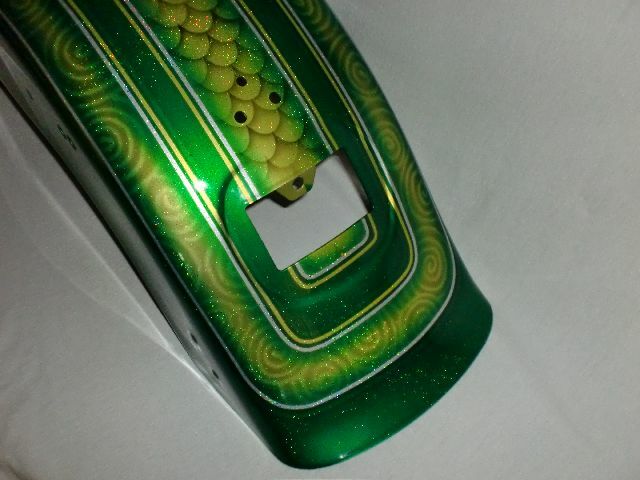 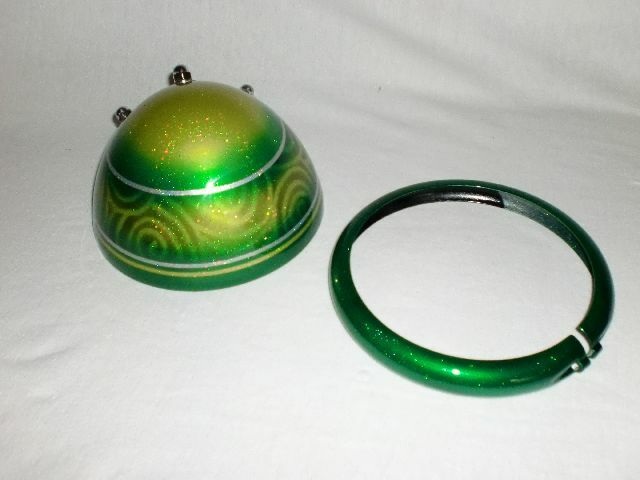 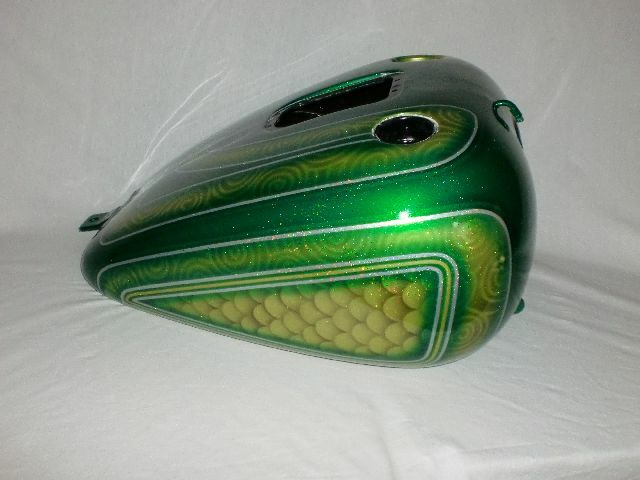 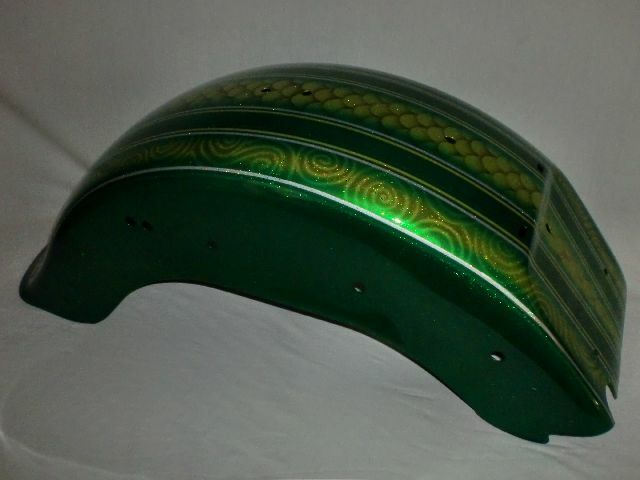 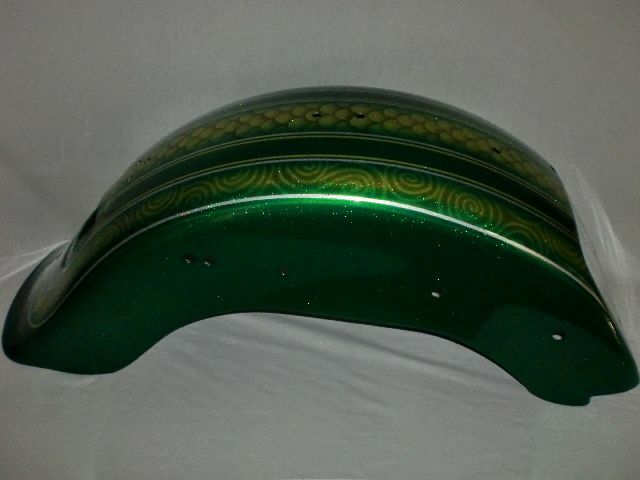 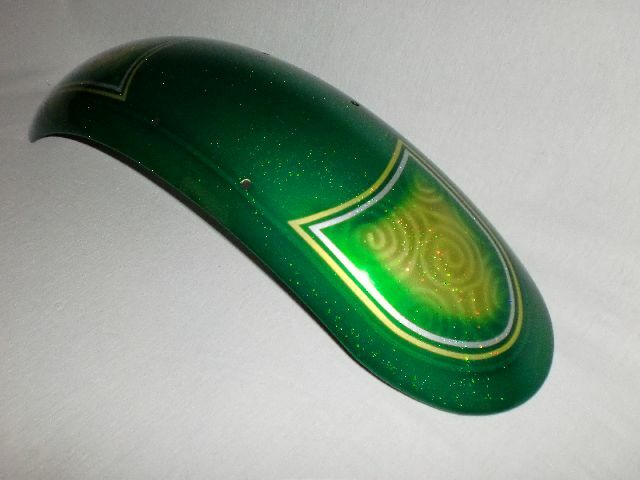 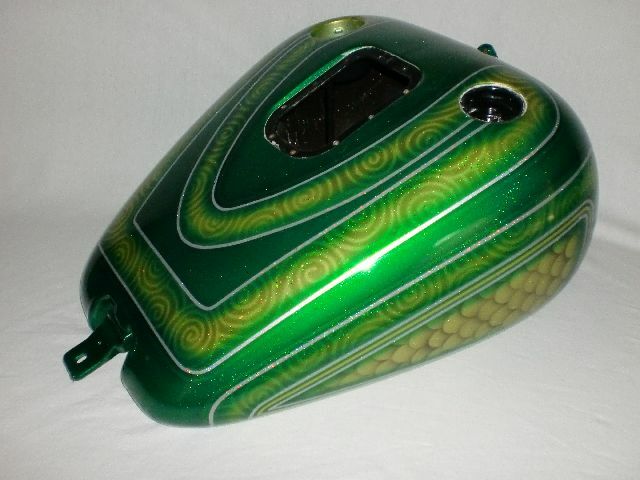 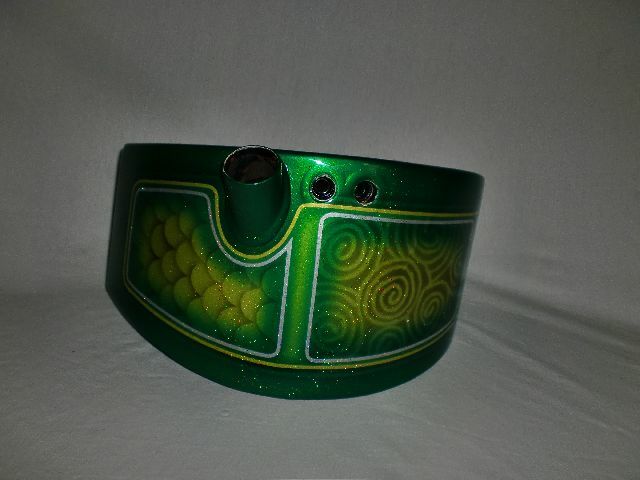 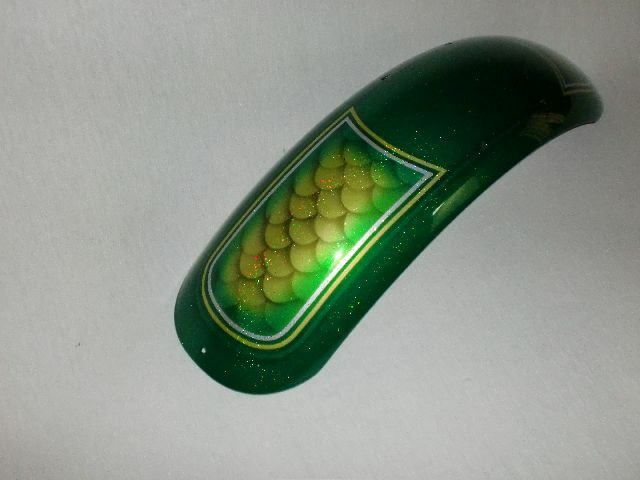 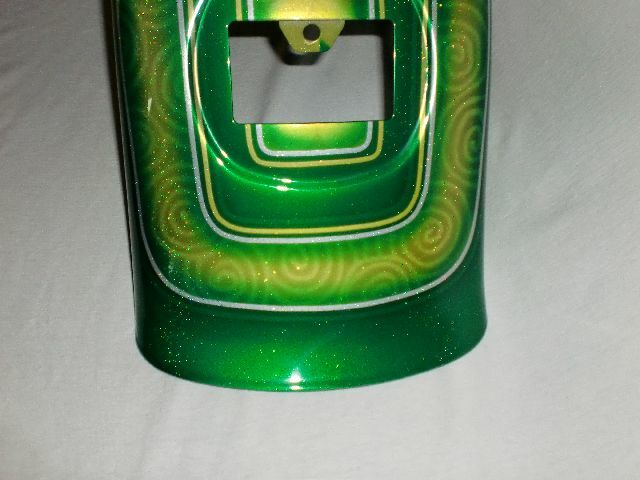 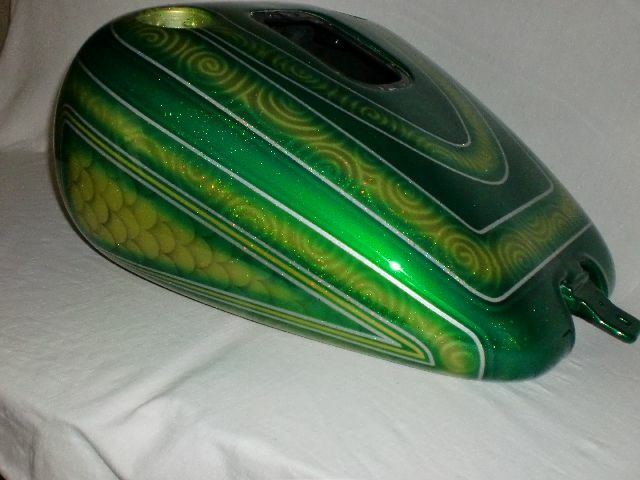 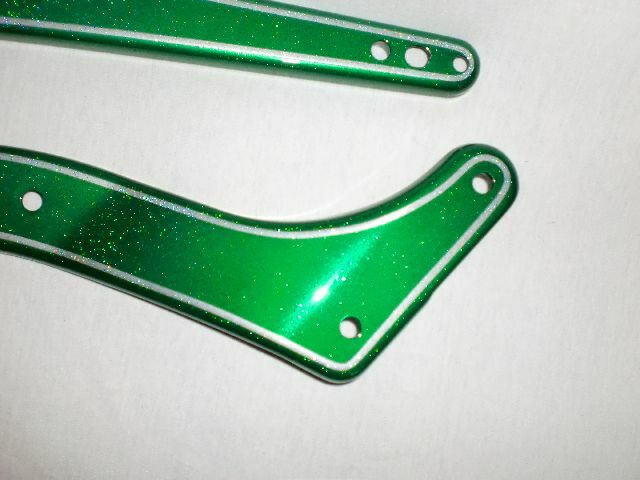 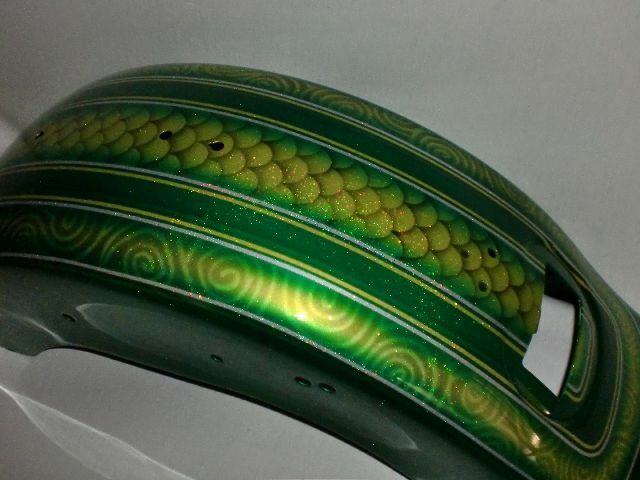 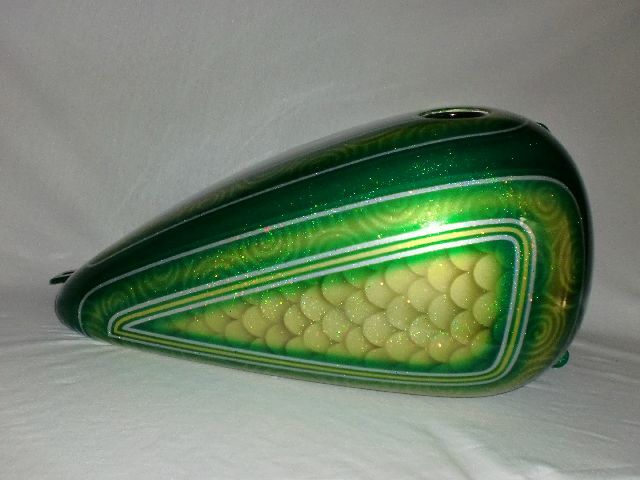 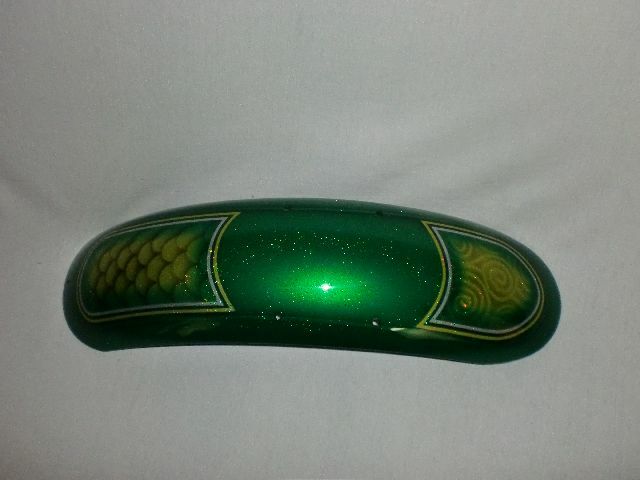 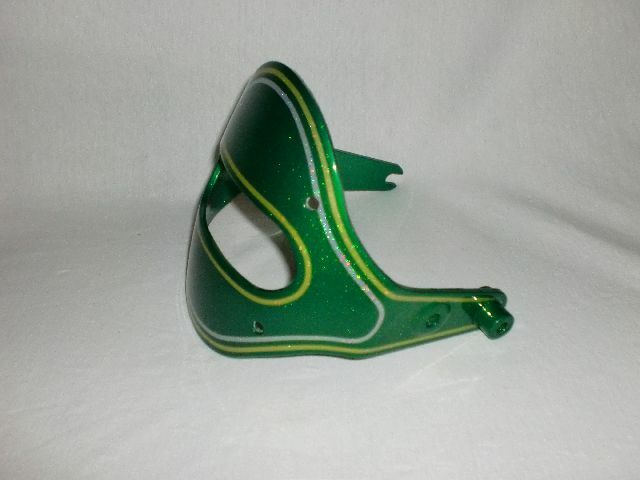 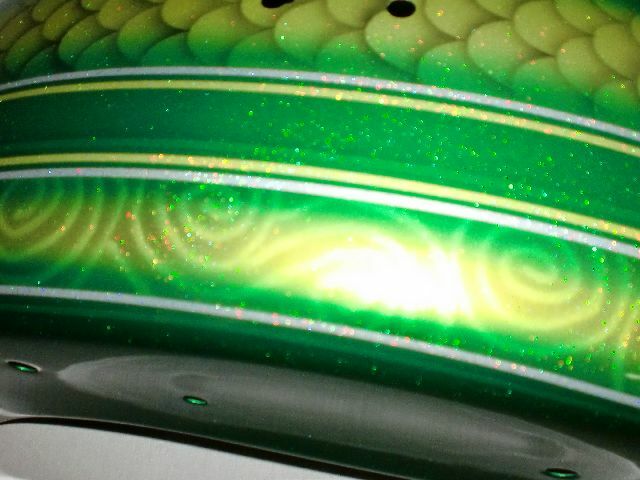 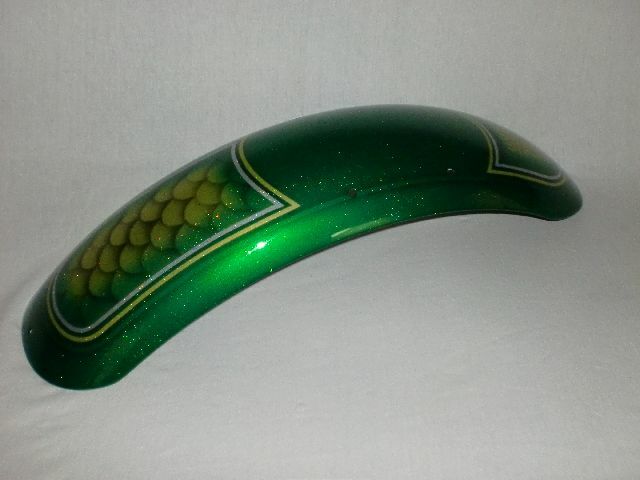 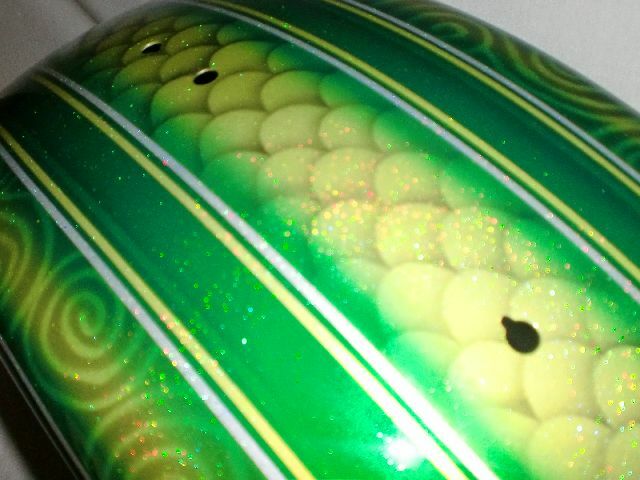 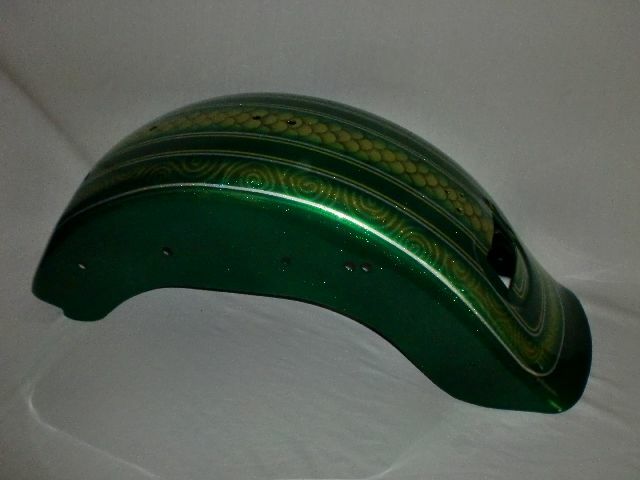 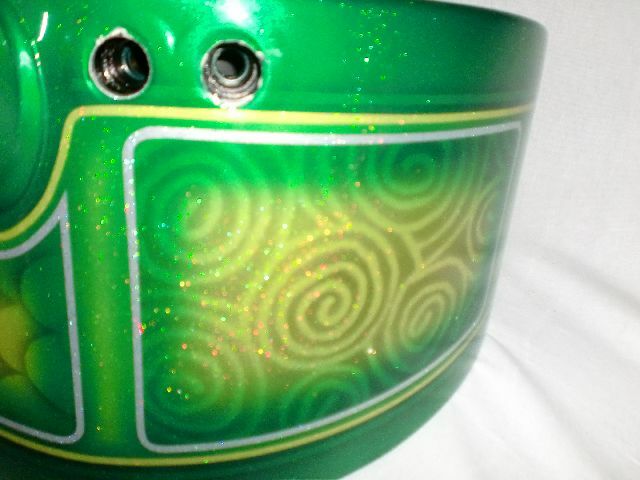 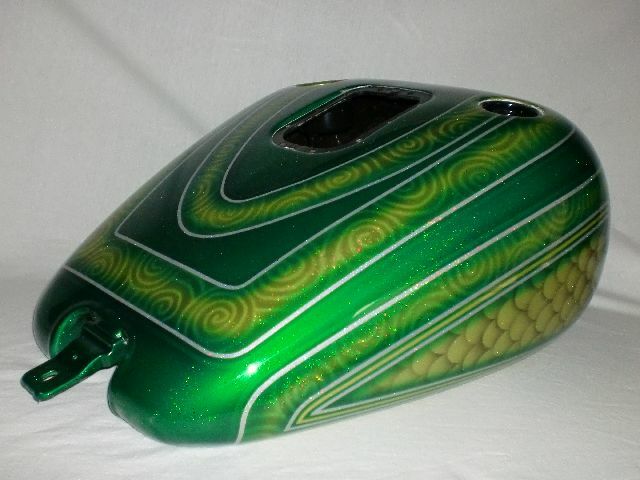 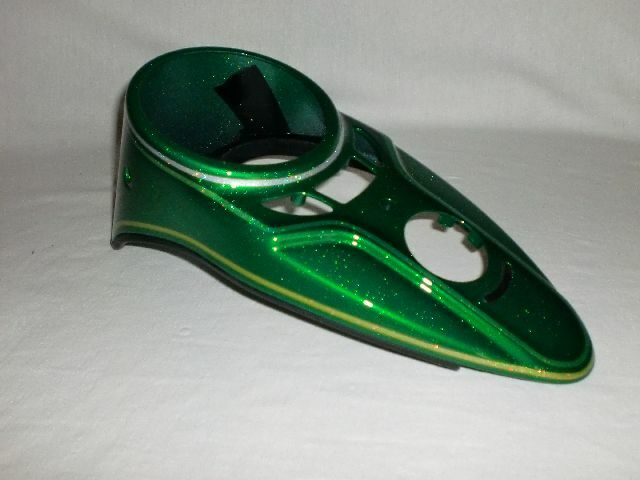 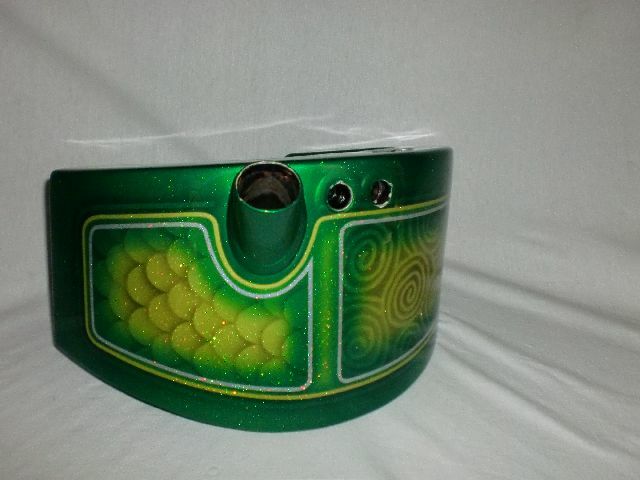 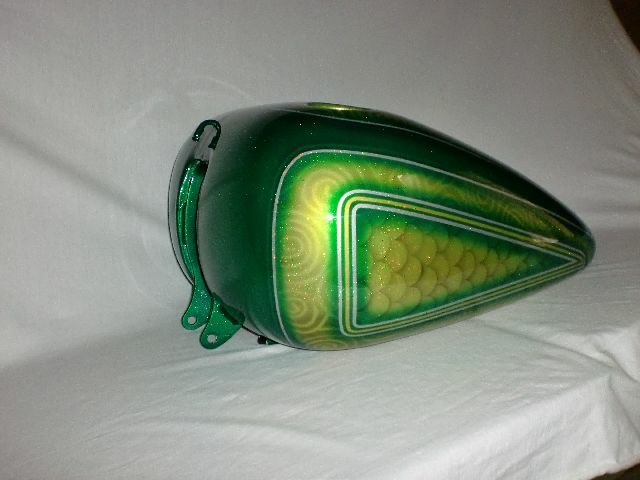 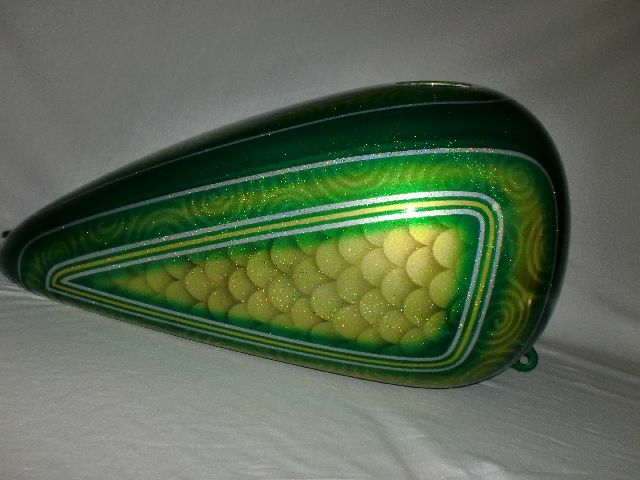 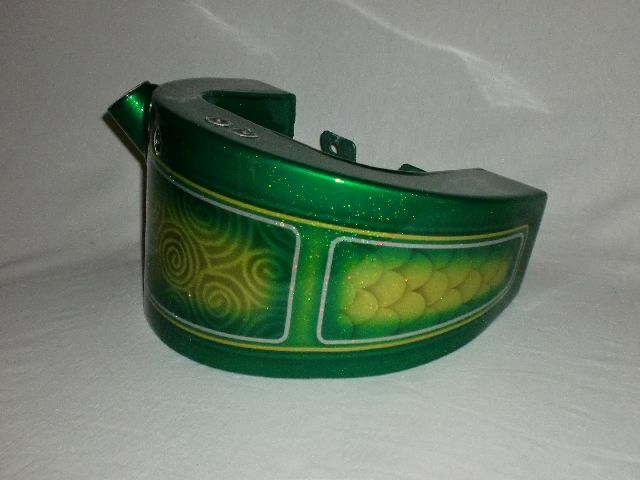 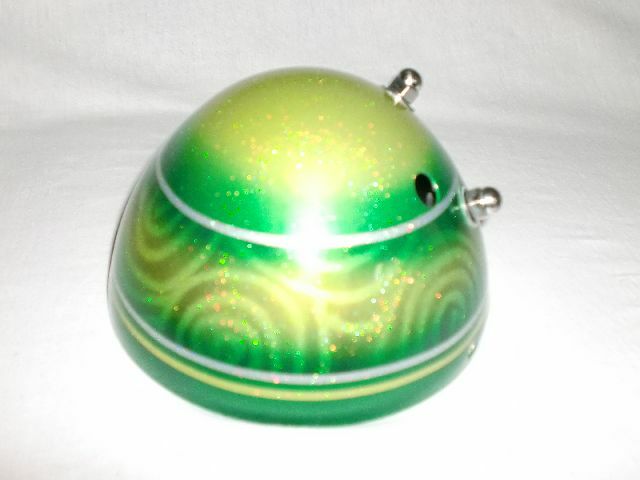 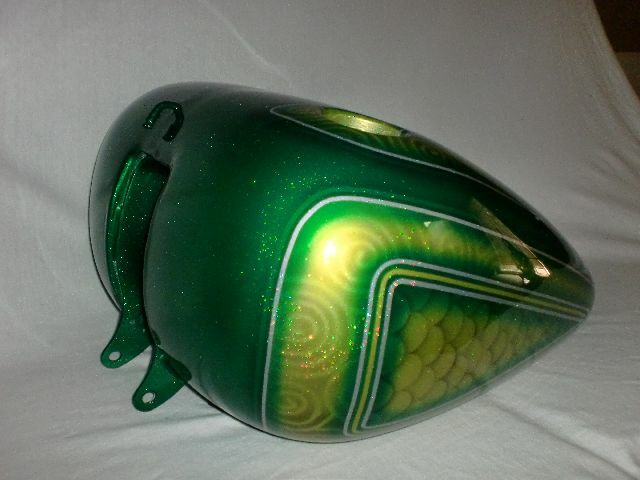 Green and gold candy over silver rainbow flake, truly an old school look that will personalize your bike to fit character. 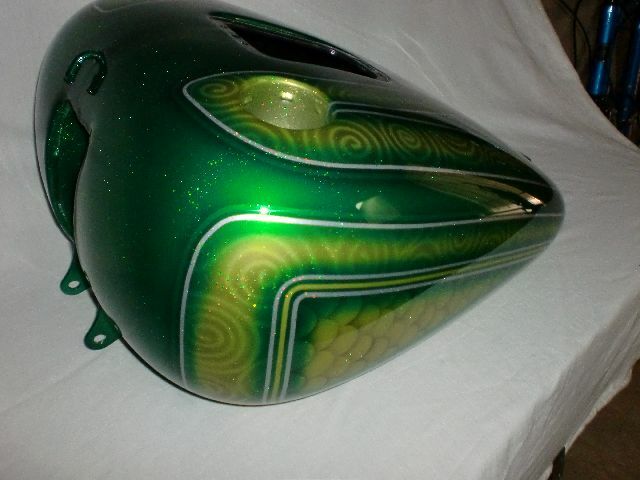 Patterns throughout the design bring back the looks you may have had on your bike back in the seventies. 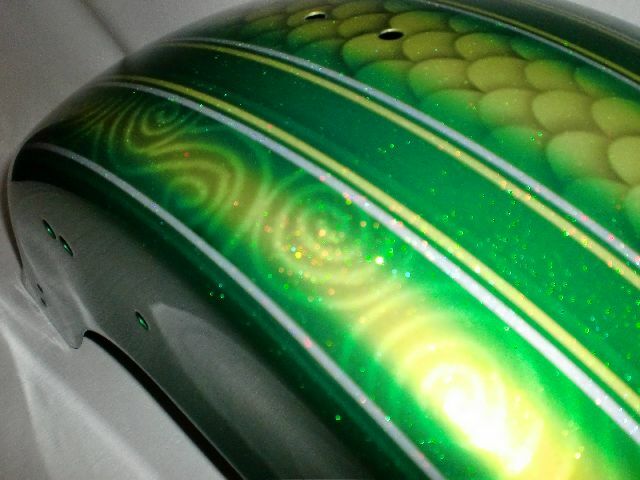 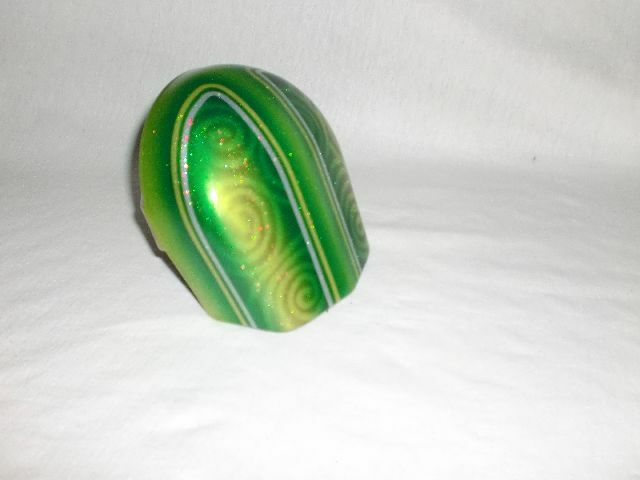 This same design can be done in tangerine, root beer, blue, violet, or possibly even candy red. 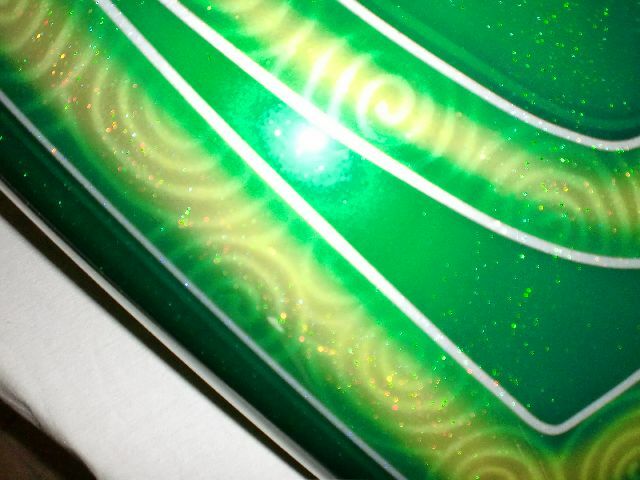 Pick where you want to see the patterns at. 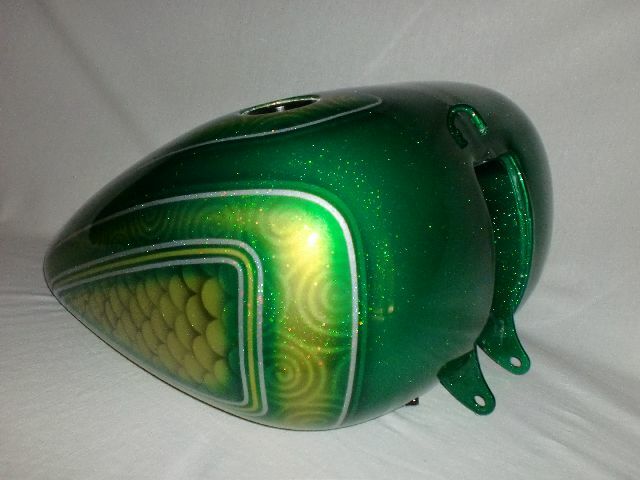 Or give a picture and we will duplicate that bike you had back in the seventies.